Set on aged gold tone, these chic drops are inspired by vintage diamond earrings. Simply breathtaking, these antique gold tone drop earrings are a timeless classic full of chic, vintage style. 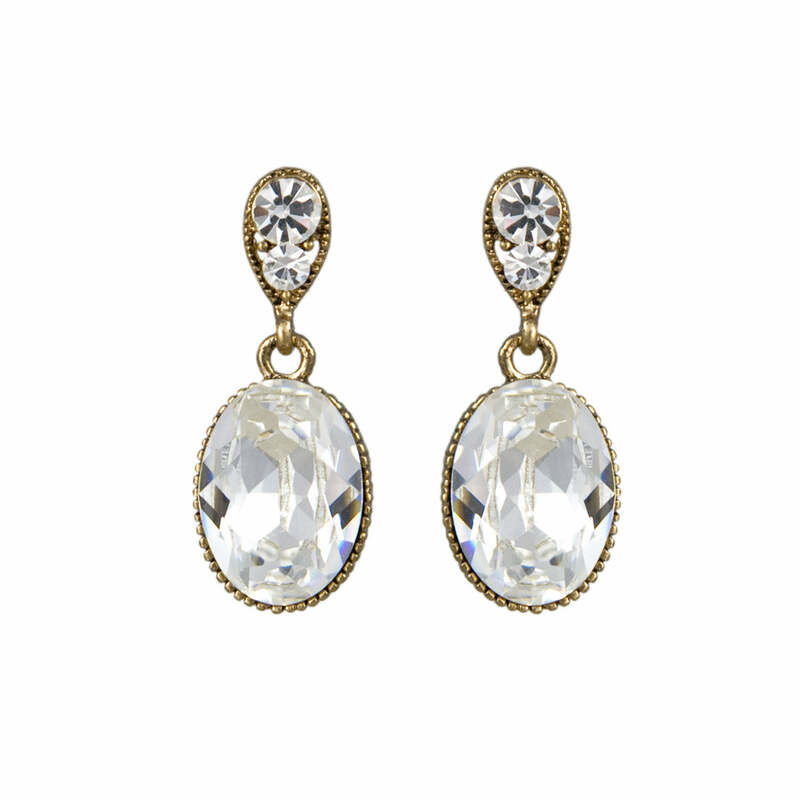 Set with the most dazzling huge oval clear crystal for mesmerising sparkle, they take inspiration from the fabulous jewellery worn by the iconic Hollywood Starlets. So versatile, these beautiful earrings compliment a simple little black dress through to a stunning evening gown. Divine wedding earrings for brides who adore classic style and favour the flattering warmth of gold tone jewels.